On Thursday 25th of February 2016 the first Farasoo Robotics Competition was held at the Imam Cultural Center in Niavaran, Tehran. This event was organized by Pejman Ghazaee of Wisdom & Art Research Cultural Center (WARCC) who embarked on training the OMID girls along with young adults from the Child Foundation back in September 2016. 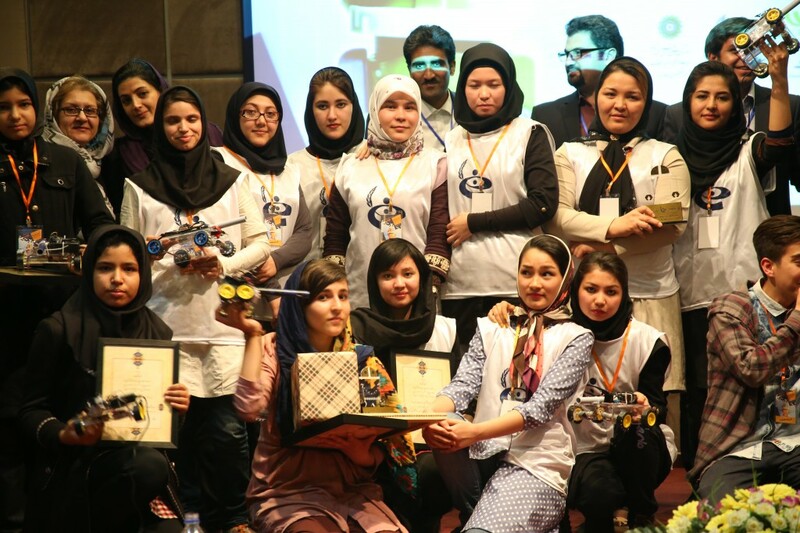 In just six months, the girls from OMID were taught how to build a robot, how to program it and to control it to perform certain functions and tasks. This was also the objective of each participant in the Farasoo competition. Each team had to complete three different levels where robots had to make a full three hundred and sixty degree turn, locate and move towards a source of light, hitting a button on the light source to make it blink. The team with the fastest time would win the level. Out of the twelve competing teams, five teams were announced winners. OMID girls ranked 2nd and 3rd in the finals bringing home two trophies. Well done to these teams and all the girls who took part.